SWEMA has drafted templates for Maintenance Ordinance and Maintenance Agreements. These templates may be used as is or as a starting point for your ordinance or agreement. The purpose of a Maintenance Ordinance is to promote health, safety, resource conservation, and environmental stewardship within a community / jurisdiction and its watershed by minimizing the non-source pollutants that enter the watershed. The stormwater best management practices (BMPs) are critical to protecting the watershed, but like any system, needs to be maintained from time to time. All development projects subject to review under the requirements of this Ordinance shall maintain all post-construction BMPs according to the Stormwater Pollution Prevention Plan (SWPPP) developed for the project by the designer/engineer. The SWPPP minimally will include an Operation and Maintenance Manual for each post-construction BMP on the property. A full copy of the template for the Maintenance Ordinance is available here. This is a draft Stormwater Agreement for use by state and local government agencies in setting an ordinance requiring the maintenance of all stormwater Best Management Practices BMPs. 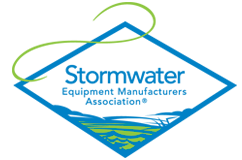 Stormwater BMP’s are practices whether land-based, proprietary or natural that provide a level of treatment and/or storage to improve the water quality of our watershed. These practices in one form or another are installed on every project. Like a car, these practices require routine maintenance and inspection. 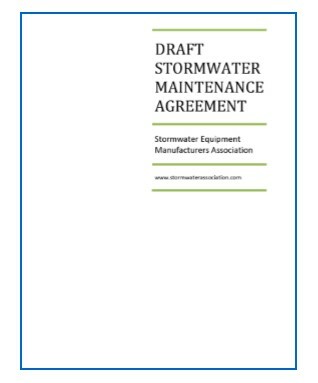 The Stormwater Equipment Manufacturers Association (SWEMA) recommends that any organization or person using this draft ordinance consult with their legal council to ensure the provisions contained in this document are in compliance with local laws and state requirements. The Stormwater Equipment Manufacturers Association is a strong advocate for the proper maintenance of all Best Management Practices (BMPs) used for stormwater systems. All systems require maintenance regardless of the type of BMP installed. The maintenance requirements vary with each BMP and should be tailored according to system and site specific needs. The property owner of the BMP should be aware of the annual maintenance costs associated with each BMP and should consider these in establishing the long term operations and maintenance plan. An Inspection and Maintenance Agreement signed by the developer or BMP owner. A Long-term Maintenance Plan written by the design engineer or plan designer. The Maintenance Plan must include a description of the stormwater system and its components, inspection priorities, inspection schedule for each component, and a schematic for each BMP. Drawing of easements on a plat or a system location map to enable owner or municipality to locate BMPs as needed. A sample Operation and Maintenance Agreement is contained in this document that includes templates for inspection checklists for each type of structural BMP, including water quality buffers. The inspection checklists can also serve as an inspection report for each facility. As noted above, inspection priorities and schedules for each BMP type must be submitted to the designated authority when required by the owner or municipality, as a component of the long-term maintenance plan for the site. These templates are general guidelines and may be modified by the design engineer or plan designer as needed for site specific conditions. A full copy of the template for a Maintenance Agreement can be found here.